How playing the same levels over and over again on Skylanders makes me feel. I have spent most of my time this last week working my way through two more playthroughs of Skylanders. The Nightmare run and the Speed Attack run. This has taken up all of my time. I feel like I am losing the will to live and can’t wait until I am finished so I can actually start enjoying what I am playing again. I am so, so, so incredibly over playing Skylanders Swap Force. I beat it awhile ago but the annoying inner completionist in my has me coming back to it to work on the trophies. Nightmare mode wasn’t too bad. I just smashed through it; only fighting where I had an enemy gate. Speed runs were a bit annoying. There were two or three where I just felt that I couldn’t do them. One I even beat by less than a second. At this point I am only one more playthrough away from the platinum. That’s score attack. I just don’t have the willpower to put the disc back into my PS4 to play each level for a fourth time. I did play the first level on Score Attack and I didn’t meet the goal. I cried for days. I had never watched this before! Actually I had not even heard of it before. My husband and I recently got Netflix as we live in the poor neglected land that is Australia. My husband said it was good and put it on and I was unsure. Within the first fifteen minutes I was hooked. BoJack shares my sense of humour with such delights as “..That was, and I don’t say this lightly, worse than a hundred September 11ths” and in regards to someone hiding muffins at the supermarket “..You left them out in the open! If that’s hiding, how did you survive in Afghanistan”. I would recommend anyone with a decent sense of humour to watch the show as it’s such a great mix of hilarity and dark themes. I still have a few episodes to go until I finish the season and I can’t wait to see how it ends. Everyone says it only gets better! I recently purchased my copy of Amazon and am still waiting for it to arrive. I’m really impatient so I have been reading some of the translations by OrganicDinosaur on Reddit which you can see here. 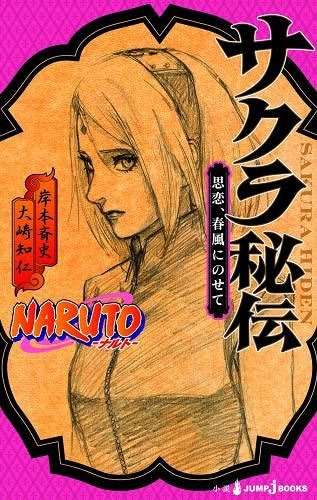 I wasn’t the biggest Sakura fan but I am willing to give this a shot as firstly it’s canon and I will feel incomplete if I miss out on some information related to the world and secondly I hope it kind of improves on her character. Makes her more mature than usual. I know she kind of developed in the series but she still ended up having a child with someone who repeatedly tried to kill her. That’s not something any sane person would actively try to do. Or at least I wouldn’t. Once I have finished the book I will let you know what I think!